Oligarchs stash their money in the West. The West is hypocritical when it accuses Ukraine of corruption because Western countries often harbour corrupt officials from Ukraine and other countries, a member of Ukrainian parliament, Hanna Hopko, told LB.ua on Friday, 24 November. "When we are told in Europe that Ukrainian oligarchs retain influence over the country's energy sector, for example, I always ask back: do our oligarchs not often hold passports of EU countries? Don't you issue or simply sell those passports? Why do you not investigate where these people have got the money to buy all that property from you? After all, there are all the financial tools for such inspections," Hopko said. The lawmaker recalled that even during the Revolution of Dignity, Ukrainian politicians like Mykola Azarov, the Klyuyev brothers and others bought real estate in Austria and no-one bothered to ask them about the sources of their incomes. "Were such people denied entry into the civilized world to buy themselves the loyalty of European politicians, Ukrainian reformers would feel that the West supports them and not just setting conditions. It should be a two-way street," said Hopko. 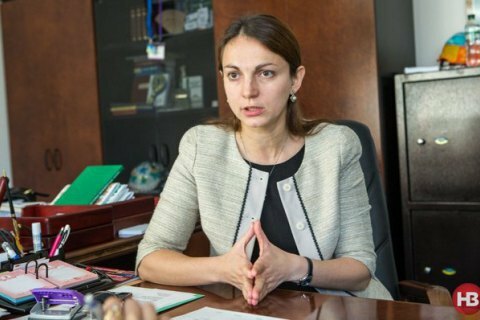 Commenting on European criticism of the slow pace of verification of income declarations of Ukrainian officials, Hopko said that the anticorruption bodies found themselves in a crossfire smear campaign. "The fight against corruption should have begun with checking the declarations of people's deputies and senior officials of different branches of power. This would allow creating a certain trend. [The checks should have been further] consolidated by the NABU's [National Anticorruption Bureau of Ukraine] investigations, to show that these checks are effective. Instead, the National Agency for Preventing Corruption was spammed by 1.5 million declarations from local councillors, which is peanuts compared to those who steal millions," Hopko said. In her opinion "it was done on purpose."